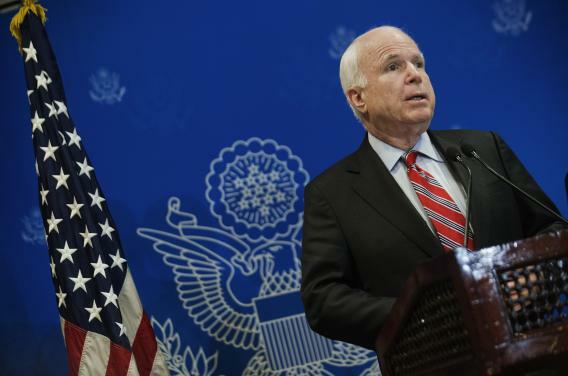 Repealing Obamacare: GOP needs 67 Senate votes, says John McCain. Even if we were to not pass the continuing resolution (to fund the federal government), you’re not going to be able to defund Obamacare, absent of President Obama signing a law, which I think is highly unlikely. So I appreciate the fact that they’ve raised the issue. But defunding Obamacare, with President Obama in the White House and Harry Reid in the Senate, I think is next to impossible. The senators are talking past each other. Cruz insists that 41 votes—just enough for a filibuster—would set up a Republican trench war that the party could win. So the story continues, with Cruz continuing to say exactly what the base wants its leaders to say, and ever more Republicans proving that they lack his belly-fire.